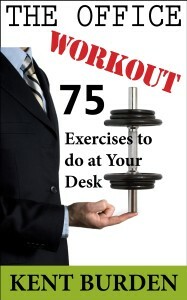 Feeling unhealthy and trapped at your desk every day? Want to get healthier but can’t imagine finding time to go to the gym? Wellness expert Kent Burden shares his innovative, easy and effective arsenal of 75 exercises you can do at your desk without even breaking a sweat! Sample this simple workout to look better, feel better and even work better—and it won’t interfere with doing your job!